Compare Floor Covering in New Zealand at Canstar Blue. Harrisons Carpet, Carpet Court, Flooring Xtra and Tile Warehouse were compared on value for money, range of products and styles available, durability of flooring, ease of application of flooring and overall satisfaction. Canstar Blue research finalised in December 2018, published in January 2019. Harrisons Carpet rated number one for customer satisfaction. Floor covering is one of those house features that is often overlooked when we’ve settled into our abode. In reality, we get used to the same flooring beneath us and instead focus on switching up the little things: ornaments, bedspreads, cushions, wall prints and the like. But when flooring choice does jump out at you, it really does. Think hopping out of the shower, or stepping out of the tiled kitchen area, the soft plush carpet greets us with a warm welcome. Or when it’s scorching hot outside and cool tiled flooring relieves us from our sweaty episode. However, flooring choice can result in many a regret when it comes to maintenance and design. Flashback to the memories of growing up consistently vacuuming our carpet to wake up the next morning and see it back to the same state. I felt like Annie. You see, despite the amount of vacuuming, the colour and texture of our carpet seemed to cling onto lint, hair and all the unwanted bits and pieces. But with the right amount of consideration, you won’t be a grown-up version of Annie, because no one wants to feel like a housemaid or shiver at the thought of winter with non-heat retaining flooring. Luckily for you, Canstar Blue has surveyed 458 Kiwis to ensure you make the right flooring decisions. We asked them about the floor covering they installed in the last three years to see their thoughts on a range of factors, including the range of products and styles available, durability of flooring and ease of installation. Harrisons Carpet swept up gold and was rated 5 stars in four out of five categories, overall satisfaction, value for money, ease of installation of flooring and range of products and styles available. Tile Warehouse was the only other flooring company to be recognised with 5 stars and this was for value for money and durability of flooring. However, they rated 3 stars for the remainder of categories, overall satisfaction, ease of installation of flooring and range of products and styles available. Flooring Xtra gained runner up with 4 stars for all the categories bar durability of flooring where they received 3-stars. According to our survey, 60% of respondents said they put carpet in their home to help with insulation. Your choice in flooring has a huge effect on the way heat is retained and, you guessed it, how warm your home is. The rule of thumb, generally, is that the denser the flooring covering, the more heat will be retained. The material then radiates the warmth back into the room for a longer period of time, which may save you money on heating. And of course, your power bill will love you for it. 27% of our respondents chose cost as their main consideration when choosing floor covering. So, here are a few tips and tricks on how floor covering insulates your house, saving you money on heating. Does wooden flooring retain heat? Call us myth busters, because despite the common perception that wooden flooring is a magnet to the cold, certain types of wooden flooring can actually help circulate heat throughout your home. If you’re a lover of wooden features, don’t completely rule out hardwood floors in order to keep your house warm. Solid hardwood floors are your best choice – in terms of wood – as they are wonderful at conducting heat and distributing it throughout your home. This flooring is ideal for circulating heat! Rugs not only spruce up the room but – due to their denseness – compact the heat so you’ll most definitely get the cosy atmosphere, aesthetically speaking and warmth wise. Of course, the natural way always does wonders. Make a conscious effort to keep doors, windows and curtains shut when the sunlight starts to fade. Keep your wooden flooring up to scratch with polishing. A strong polyurethane finish adds an extra layer to protect from the elements. Also, be careful with wooden flooring because too much heat from a heater can, in fact, warp the flooring. Not exactly the look you were after. Does laminate or vinyl flooring retain heat? No – in simple form, the laminate or vinyl itself doesn’t retain heat as it’s so thin but it is commonly partnered with padded underlayment which does insulate. Similar to wooden flooring, however, laminate and vinyl both also sufficiently conduct heat. Laminate and vinyl are a cheaper and easier maintained alternative to wooden flooring, in this manner. Their easy maintenance can be put down to their resistance to stains, water and discoloration. A wooden print on laminate or vinyl is becoming more common in modern houses as it reaps the visual benefits but at a cheaper cost. Make sure you do weigh up the costs though, because the underlayment – which we highly recommend – can increase the total price! Does carpet help insulate your home? Yes, carpet does help with insulation but additional insulation is required to keep your house fully insulated. The millions of fibres contributing to the density of carpet work as a natural insulator, but unlike its wooden flooring counterpart, carpet does not circulate the heat throughout the room. Nonetheless, carpet insulation is ten times higher than that of wooden flooring. This may be why more than half of those we surveyed installed carpet! And of those, 68% installed their carpet to help with insulation. Canstar Blue surveyed 2,500 New Zealand consumers across a range of categories to measure and track customer satisfaction, via ISO 26362 accredited research panels managed by Qualtrics. The outcomes reported are the results from customers who have purchased and installed new floor covering in the last three years. In this case, 458 New Zealanders. Brands must have received at least 30 responses to be included. Results are comparative and it should be noted that brands receiving three stars have still achieved a satisfaction measure of at least six out of 10. Not all brands available in the market have been compared in this survey. The ratings table is first sorted by star ratings and then by mean overall satisfaction. A rated brand may receive a ‘N/A’ (Not Applicable) rating if it does not receive the minimum number of responses for that criteria. 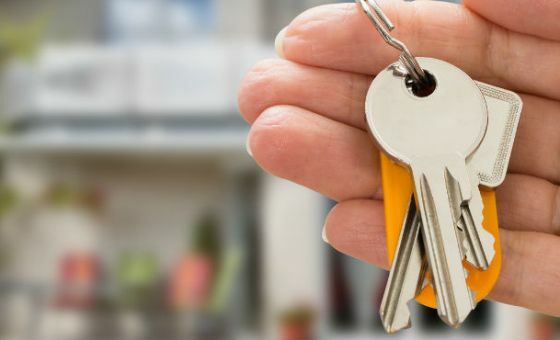 Canstar Blue explains why you need to hire a conveyancer whether you’re buying or selling a home. Find out how much it costs. Buying or selling a property is a significant undertaking and real estate agents can streamline the process. What do agents do and how can they help? 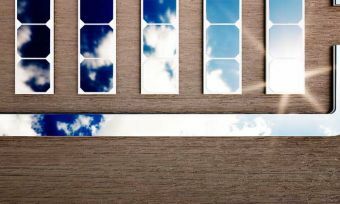 Advances in residential solar battery storage technology combined with falling costs could provide further incentive for NZ households looking to install a system. How can you keep warm during winter without spending a fortune on energy bills? Find out at Canstar Blue. 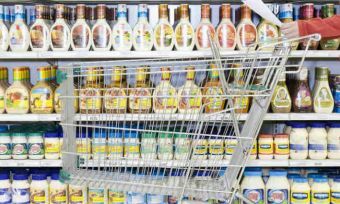 We all shop at the supermarket, but have you ever wondered what grocery items are the most popular? 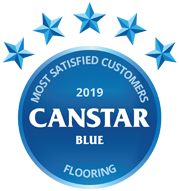 Canstar Blue explores the list.